Grass Art’s grass artists & field artists can re-create your advert on a field, hillside or grass embankment. 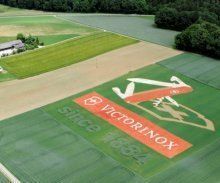 Whether it’s a huge banner created in a field by the side of the motorway or on a sports pitch or grass verges, the grass artists & field artists can produce an end to end campaign for you – design, planning, production and aerial photography can all be achieved in producing this very special advertising. 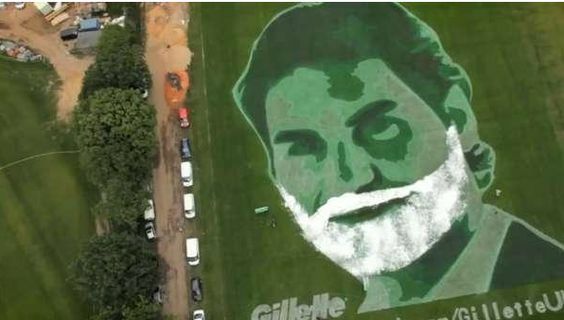 Utilising specialist environmentally friendly paint the grass artists & field artists can replicate your logo or advert in several colours in any size! Even hundreds of metres can be produced. And when your campaign or event has finished it they can safely remove the paint. 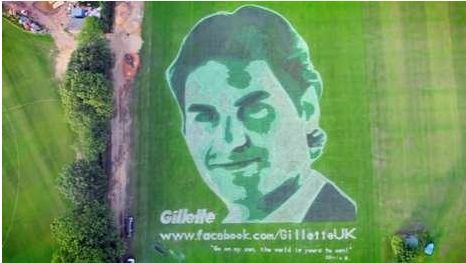 Utilising a specially created paint, grass artists & field artists create a stencil of your product, then spray it onto the grass. The paint is non- toxic and does no harm to the grass or the environment. At the end of the campaign a substance is added to the paint which dissolves it, leaving behind no trace with no damage to the grass and turf. These adverts are fantastic for grabbing attention and PR!